The Organisation Data Service (ODS) release two XML files of organisation data. 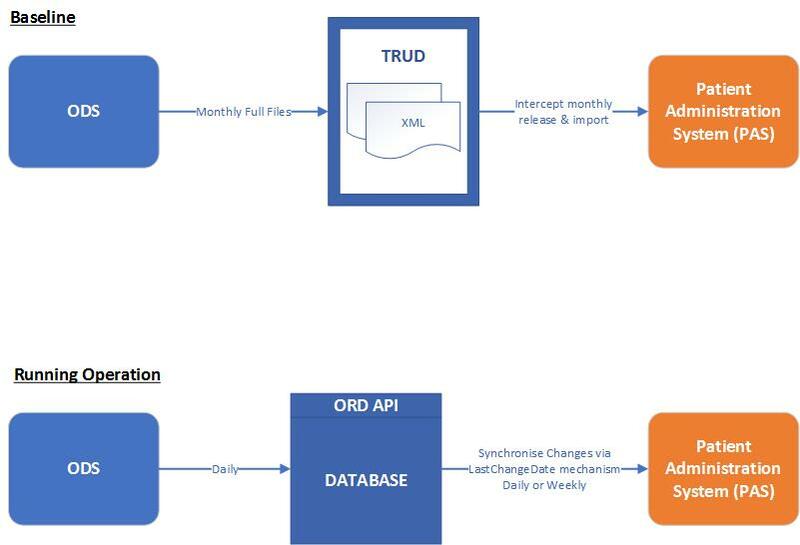 These files are available monthly to download from the Technology Reference data Update Distribution (TRUD) service. 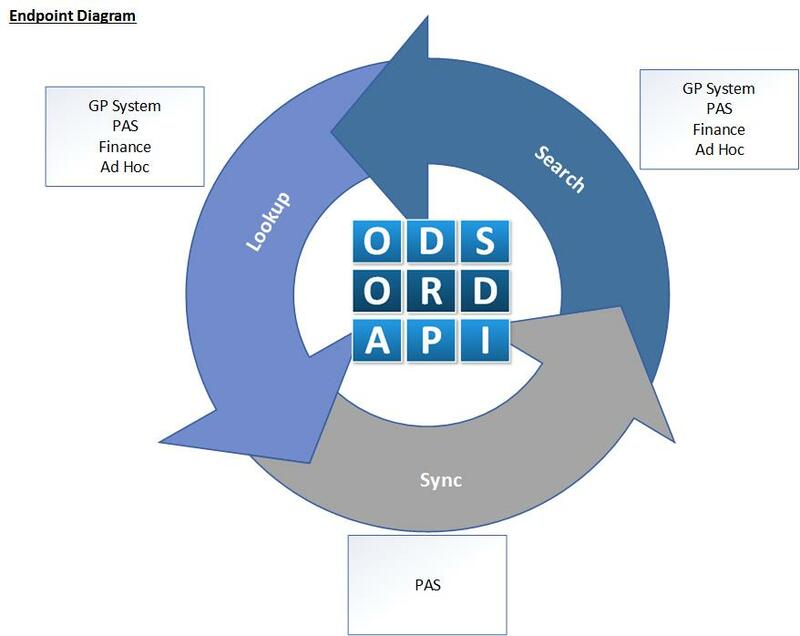 From these files a local baseline of organisation data can be created, which can then be updated on a daily basis by connecting to the ODS ORD API. A single consolidated XML file containing all records of current interest (records that were open after the date currently enforced as the cut-off for the archive file), regardless of their Primary Role (i.e. all organisation types included) or when they were last changed. It includes all the supporting information required to interpret the data within the manifest. Closed records are appended to a separate archive file periodically, in order to maintain the efficiency of the full file by keeping it as small as possible. Archiving a record (based on its closure before a certain date) will override any of the other criteria for inclusion in a file. The archive file follows exactly the same schema as the full file so there is only one universal schema. Each time an archiving event is triggered, a cut-off date is defined. Everything with an operational close date that falls before the most recently defined cut-off is published in the archive product, instead of the full file. For further information refer to the XML Products Guide .